The school would like to thank Motorline Direct of Shepshed for yet another generous donation to The Ashmount Appeal. For each car sold an amount is donated to The Appeal. On Thursday 11th June we went to the salerooms and received a cheque for £2,600.23. 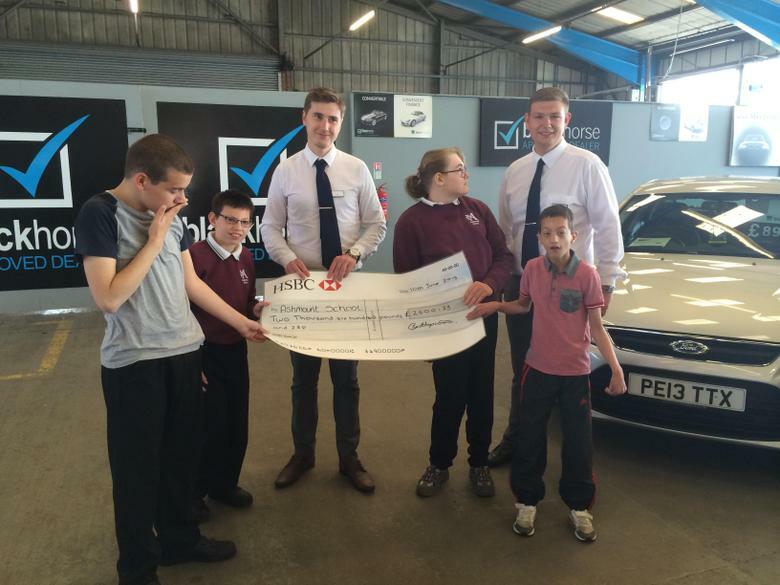 The photo shows four of our students receiving the cheque from two of the Motorline Direct salesmen. What these quarterly payments have meant for us is that we have been able to extend the external canopies to the primary side of the building. This work has been undertaken to the same high quality as the original installations by Broxap Ltd. This means that our primary aged children can learn and play directly outside their classrooms in all weathers.